Combining the qualities of a catamaran, of aluminium and of Garcia’s know-how opens up new perspectives for serious blue water cruising. Space, comfort and performance are now standard at all latitudes. By putting all the features that have made an international success of their ocean cruising monohulls for over forty years onto two hulls, Garcia Yachts is providing access to the most remote places on our oceans, for sailing off the beaten track, in conditions of comfort, space and serenity that have never been achieved before. The advantages of a good catamaran are well known: living space on board, both inside and on deck, above-average performance, ease of handling, and above all stability, allowing as many people as possible to appreciate the joys of sailing. Garcia Yachts is adapting its vision and experience to make it the absolute vessel for modern exploration: unrivalled strength of aluminium for hulls, structure and deck, unfailing seaworthiness, crew protection, ease of operation, quality insulation, top-of-the-range equipment and comfort. An entirely new concept but benefiting from so much past experience, the Explocat 52 is opening up new perspectives. 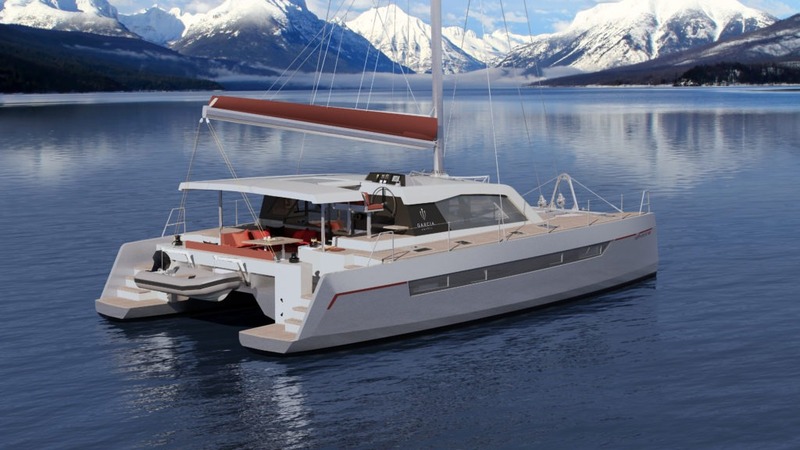 Whether you are a long-distance cruiser looking for more space and comfort, or a multihull enthusiast looking to discover remote areas, the Explocat 52 is a unique proposal, undoubtedly the ideal modern exploration sailboat.